Louisa Akavi, 62, and Syrian ICRC drivers Alaa Rajab and Nabil Bakdounes were abducted in October 2013 for delivering medical supplies to Idlib, northern Syria. Four other members of the convoy abducted by ISIS were released. The relief group kept Akavi's name a secret to keep her alive and work behind the scenes to secure her release. The ICRC said its latest "credible information" on Akavi's well-being came at the end of 2018, but he never managed to determine the fate of Rajab or Bakdounes. Dominik Stillhart, director of the International Committee of the Red Cross, said the organization had believed that she had also provided medical aid in captivity. "Obviously, we do not know much about Louisa's life in recent years, and we know she is a nurse held by (ISIS)," a statement said. "We know that she provided medical care to people in the community where she was held, and even as a prisoner, she remained in tune with her humanitarian roots as a nurse in a conflict zone to help people in need." The overthrow of the group's so-called caliphate in late March gave an impetus to the publication's search, the statement said. "After the overthrow of the last territory occupied by the Islamic State Group, we fear there is an additional risk of losing Louisa, although we remain hopeful, this period will instead open up new opportunities to learn more about their whereabouts and their well-being, "said Stillhart. "We urge anyone who has information, please colleagues are still being held, we demand their immediate and unconditional release." 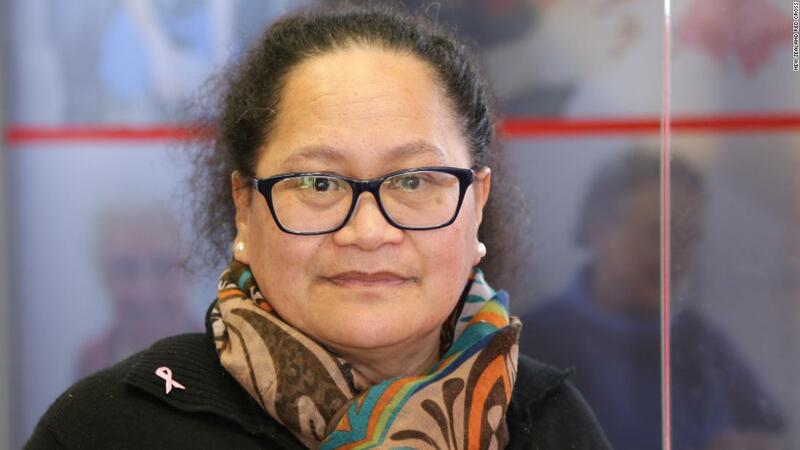 In a short video statement, family spokesperson Tuaine Robati said she continues to worry about her but also their pride in their work. "Our family misses her and worries about her safety, Louisa is an incredibly experienced nurse and assistant who knew the risks of her job and our family is very proud of her." 987, according to a post on the New Zealand Red Cross, and was awarded the Florence Nightingale Medal, which is referred to by the ICRC as the "highest honor" awarded to nurses who demonstrate exceptional courage and dedication to the victims of armed conflict or natural disaster. " Their mission to Syria was their 17th field mission to the organization, New Zealand's Secretary General of the Red Cross, Niamh Lawless, said at a press conference on Monday. In addition to Syria, she was in countries like Somalia, Bosnia-Herzegovina, Sri Lanka, Ethiopia, Iraq and Afghanistan. She is "a friend, a colleague and a mentor" and wanted to "use her skills to make a difference for some of the world's most vulnerable people," she added. It was longer now Stillhart has been detained as anyone in the 156-year history of the ICRC. On Monday, the said New Zealand Foreign Minister Winston Peters said his government has been working to find and return to Akavi since 2013. "In these years, every step of the way has been to make sure that everything possible is done without compromising Louisa's safety," he said. "That was and is priority, to push the search for her." He said that part of the effort involved a "small multi-agency team" that included members of the Special Operations Force of the New Zealand armed forces. "The staff visited Syria from time to time as needed, and this non-combat team focused in particular on finding Louisa and identifying ways to find her," he said. "We have now reached a point where the entire territory was once ISIS was liberated Unfortunately, the current whereabouts of Louisa are unknown, but the New Zealand government is working tirelessly to find them and bring them to safety." New Zealand Prime Minister Jacinda Ardern told journalists at a post-cabinet press conference that she would not comment, even though the ICRC publicly named Akavi for the first time since she was taken hostage in 2013, and in a brief commentary the government's position confirmed that it should not be named. "It remains absolutely the view of the government that it would be preferable if this case were not public, so I will not comment further," said Ardern.